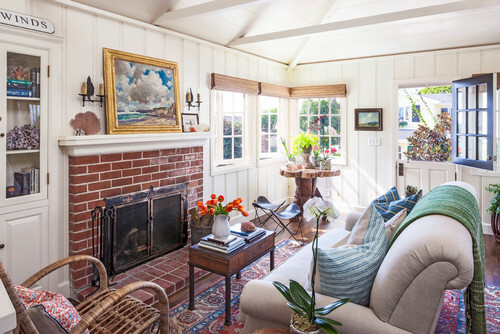 This is a tiny Laguna beach cottage that was brought back to life. The cottage was in shambles, but there is no way to tell by looking at it today. It was restored to how it would have looked in 1946 by Collins Design & Development. 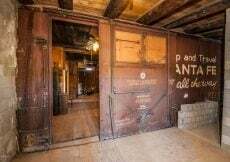 The floors, lighting, doors, and windows are original. The kitchen and bathrooms were remodeled. 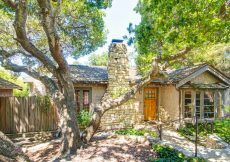 This idyllic Laguna beach cottage is called Lombardy Lane. 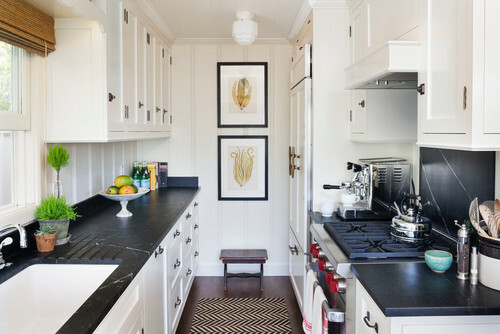 It’s incredible what a small house can look like, this one has a lot of charming details. 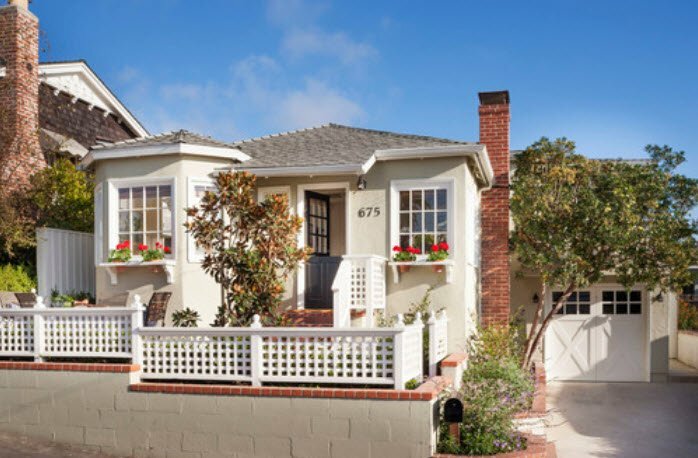 It’s a tiny Laguna beach cottage of 950 square feet. 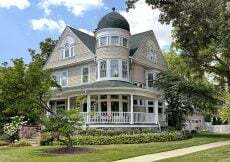 I would like a bit more room than that, but it’s such a classic beauty, I think most people would be happy to call it home. I like the Tradewinds sign and built-in cabinet that inspires me to cut a hole in the wall and make one like it. Fun vintage swimsuits give a nod to the beach and the by-gone era of 1946 when the cottage was built. 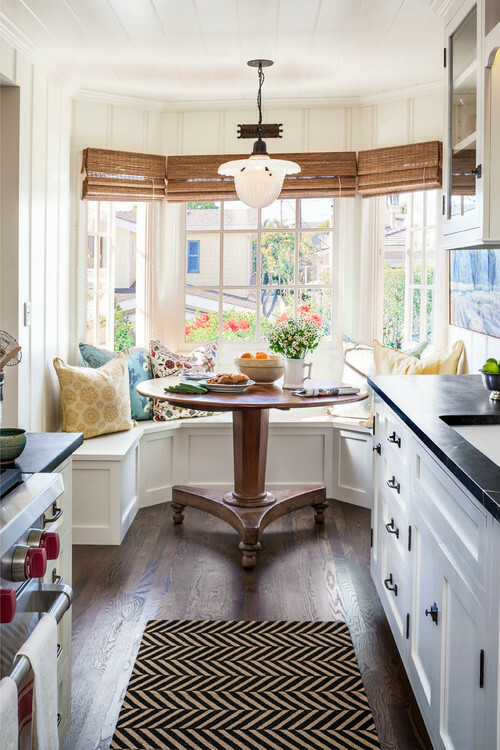 Perfect how the round kitchen table fits into the window seating so no chairs crowd the tiny dining area. I am amazed at the original light fixture. 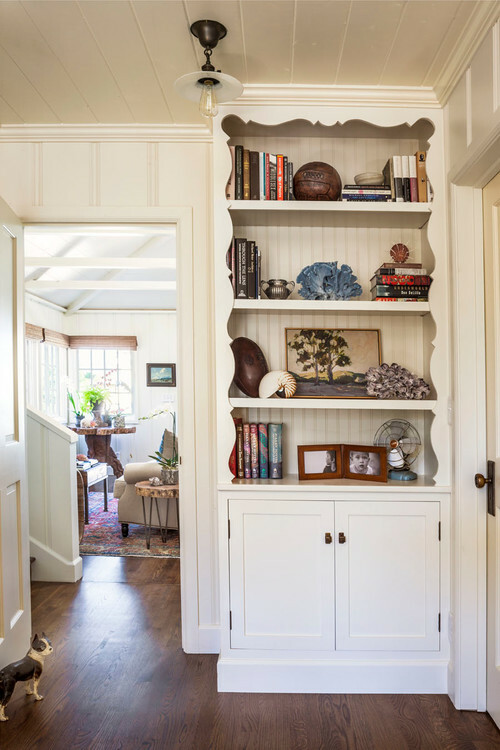 Another great built-in cabinet and the fancy scroll work is reminiscent of the cottage’s history. 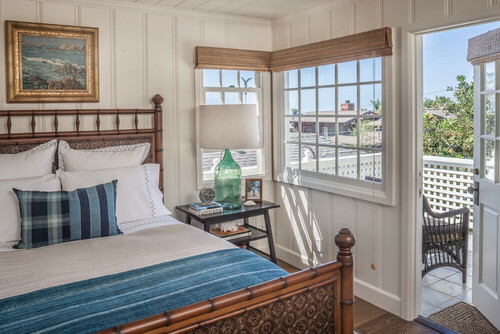 I like all the windows in the home including this bedroom window and matching door that opens to an unexpected terrace. It is hard to say goodbye to this picturesque place. 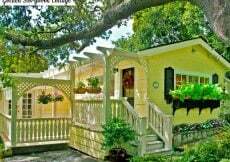 Bee Cottage is another charming cottage to see and click to browse more cottages here. 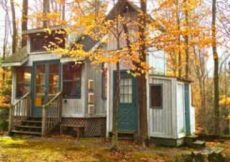 How perfect would this house be for a 30 something just starting out. Growing up, I was always envious of my cousin who found the best little places – a refurbished chicken coop and a water-tower – so fun. Your comments are always spot on and I am thankful for knowing you. I feel the same Sue. The blogging community is so enriching. I’m glad to be a part of it. No fun living alone especially by the beach in sunny California, but I would squish to live here in my dreams come true. That is such a cute beach cottage. I am not sure that more than two people at a time could be inside of it. But, I love how sweet it looks. Hi Jenny, It’s amazing what design and development companies can do with a home. I’d like to clone this house at just a tad more space. You’re so fun, yep it is perfect for one and maybe if my husband is nice I will let him live here too. So happy to hear from you Chastity. I agree, would love to live by the beach. So absolutely adorable! 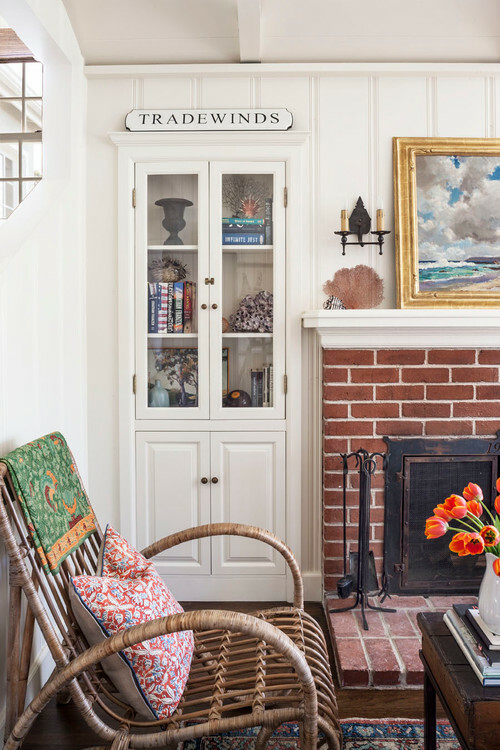 They did a bang-on job and so glad to see it was done with careful attention to the cottage’s vintage history! 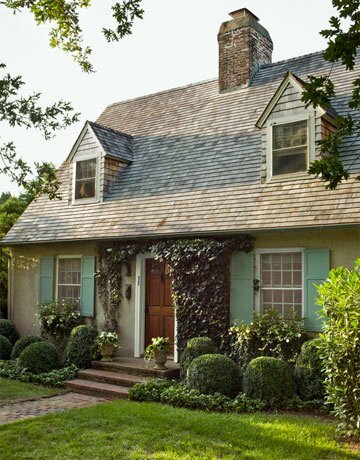 I want to retire in a little cottage like this.